Joleen Valencia takes in the sunset in a park near the home of a family friend with whom she rooms while on parole in Albuquerque. Joleen Valencia had resisted the temptation to count her days to freedom. She had learned inside a New Mexico prison that tracking time only added to the anxiety of serving a two-year drug-trafficking sentence that started in the spring of 2015, especially after her mother died and granddaughter had been born. 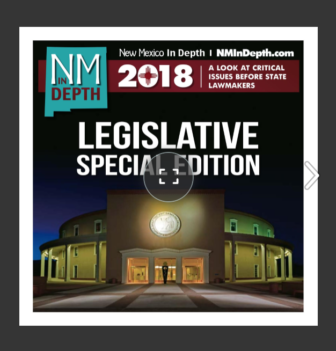 The problem of in-house parole isn’t unique to New Mexico. Numerous states – Georgia, West Virginia and Nevada among them – have histories of holding inmates past their expected parole dates, with some responding to the issue with reforms. In New Mexico, one of the poorest states in the nation, the problem persists despite efforts to address it. In an email, a corrections spokesman said reducing the number of release-eligible inmates – the department’s current term for those on in-house parole – is a priority, despite figures showing they have struggled to overcome the problem in the past three years. A review of state data obtained found there were 165 release-eligible inmates on in-house parole at the beginning of July of this year, slightly more than the average monthly total since January 2014. Overall, the state spent an estimated $10.6 million to incarcerate the 1,000 inmates who found themselves on in-house parole – a status some on the list had for years. The fortunate ones with relatives willing to provide housing can only stay with family if a parole officer approves of the housing situation _ a rule designed to prevent offenders from living among other felons or addicts. An average of three-dozen inmates approved for release by the parole board each month over the last several years remained incarcerated because they were awaiting a bed in a residential treatment program or halfway house. She finished her basic sentence there on May 3 and then would spend six more months in the prison on in-house parole this year. “Some programs require $100 up front. I don’t have that,” she said. The Corrections Department in the past has acknowledged this can pose a public safety problem. “Simply put, it is not in the interest of public safety,” the department said two years ago in a blog for lawmakers. Numerous studies, including a 2014 Pew Charitable Trusts report, also have found parole is critical in monitoring inmates in the months immediately following their release. And such findings have spurred lawmakers in some states to tackle the issue. “What it shows to me is that as we incarcerate more people, the prisons will be harder to manage, especially in places where there aren’t as many resources,” said Jordan Richardson, an attorney and policy analyst who specializes in criminal justice reform at the Charles Koch Foundation. Often, this happened because prison caseworkers and parole officers, who are woefully understaffed, fell behind in preparing plans for the parole board to review. A report from the Legislative Finance Committee revealed this year that officers’ staffing levels at public prisons were 20 percent below where officials say they should be. 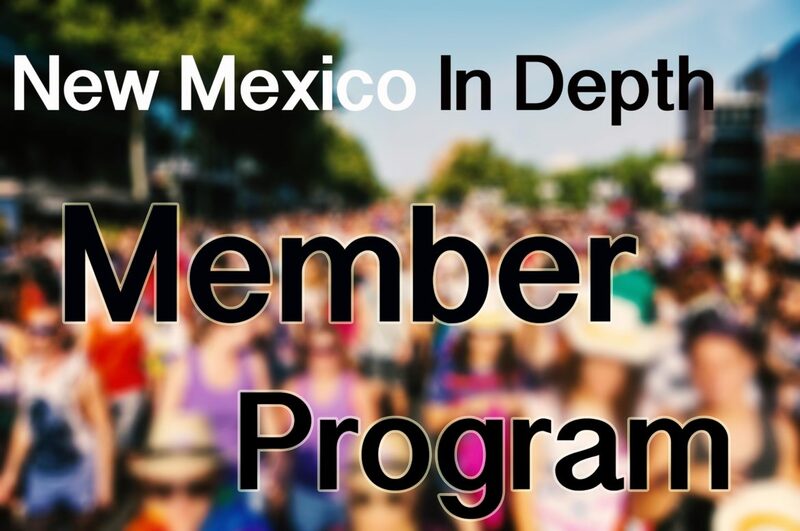 New Mexico inmates’ participation in prison drug treatment, education and work programs – like Valencia’s low-wage dishwashing job – helps them earn the credit, or “good time,” they need to become eligible for parole. As an inmate with no violent criminal history, Valencia tied back her cascading brown hair and put an apron over her Corrections Department jumpsuit, with the understanding that each kitchen shift would reduce her prison time by a day. That, however, is not how things worked out for her in the end. She initially avoided prison with a plea deal. But less than two years into her time on probation, an officer found an open can of beer inside a vehicle in which she was a passenger, prompting a judge to send her to the Northwestern New Mexico Correctional Facility. When it finally came, she said she learned that a proposal to return to her family’s home – a five-bedroom dwelling where no other felons or recovering addicts would be living – would be rejected if she proposed it for her parole. The primary reason: It was on the San Felipe Pueblo Indian Reservation, 30 miles north of Albuquerque. It is on federal tribal land and not within the jurisdiction of the state. Such rejections of Native Americans are rare, but officials say can surface when an offender’s parole plan requires frequent meetings with a parole officer or counselor and there’s limited transportation options in a community. Six months ahead of her scheduled release, she submitted a new parole plan showing she secured a spot at the Pavilions, a new residential re-entry program in Los Lunas that’s run by a local non-profit and funded in part by the state. The move last fall came amid a wave of reform efforts following a 2014 fiscal analysis from the Legislative Finance Committee that flagged the problem of in-house parole. For Maria Garley, the state’s efforts seem to have had no impact. Garley, an ex-convict, said she served a decade-long prison sentence, and then was held on in-house parole for her entire yearlong parole term. In the past, the courts have struck down lawsuits brought by inmates held past their release date, finding that corrections officers and officials aren’t liable when they mistakenly hold someone on parole, said Richardson, with the Koch Foundation. But short of that, he said, it doesn’t seem likely the courts would side with inmates. In Valencia’s case, she feared she would lose her good time – or worse, be forced into solitary confinement – if she complained or filed any grievances. 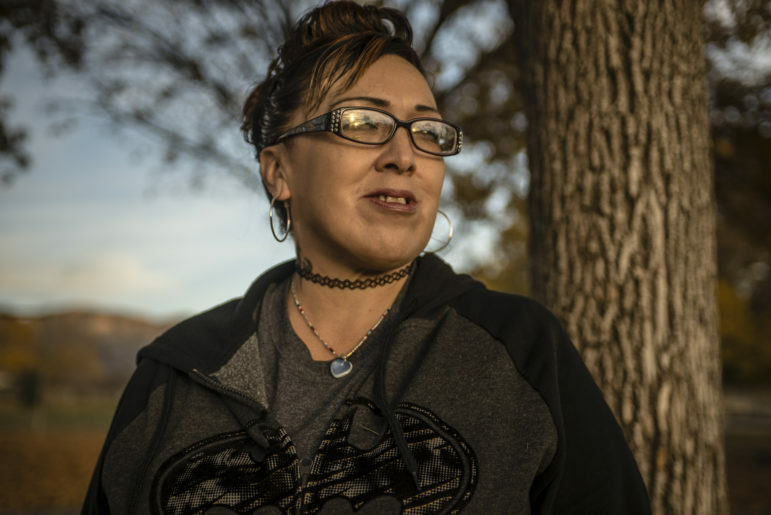 After nearly a year in the program at Los Lunas, Valencia is now serving the final months of her parole in Albuquerque. She stays at the home of a longtime friend who knew her before her most recent descent into addiction and who had hired her years ago to be a nanny for her granddaughters. Soft-spoken yet matter-of-fact about her difficult past, Valencia for years felt too ashamed of her addiction, and the depths she would go for it, to face her family and own children. Now, she sees moving home as her best chance at avoiding the troubles that plagued her in the past, though her parole officer won’t allow for her to move home just yet. Once she does, she’ll get to see her granddaughter more, and she hopes she’ll finally overcome the shame and grief that’s lingered since prison, her time on in-house parole, and her mother’s death. Published in partnership with the Criminal Justice Project of the Asian American Journalists Association.